As you’ve probably spotted, there’s text under the Windows desktop shortcut icons. Whilst you can rename the shortcut icons, Windows doesn’t include an option that removes shortcut text. 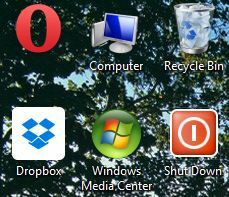 However, you can still remove text from the Windows desktop shortcut icons with this trick. 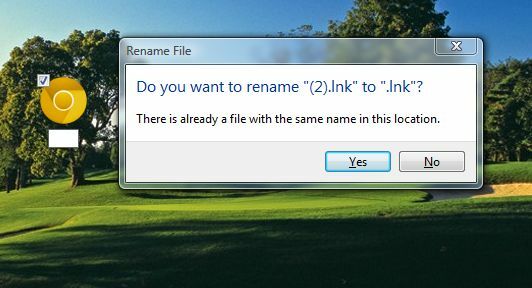 Right-click a shortcut icon on the desktop, select the Rename option and delete the title. Now you should press and hold the Alt key. Enter 255 (whilst holding the Alt key) on the right numeric keypad, but not the ones across the top. Those with laptops should turn Numlock on and enter 255 with the little number keys next to the regular letters. Once you’ve entered 255 press Return, and the desktop shortcut icon should then have no text under it like the one in the shot below. You can also remove the text from almost all the desktop shortcut icons, but for the second icon on the desktop you should enter Alt + 255 twice. For the third icon from the top of the desktop, enter Alt + 255 three times and so on. Admittedly, I’m not sure how much use this trick is. However, it still gives you another Windows desktop customization option. With it you can remove shortcut icon text on the Windows XP, Vista, 7 and 8 desktops.